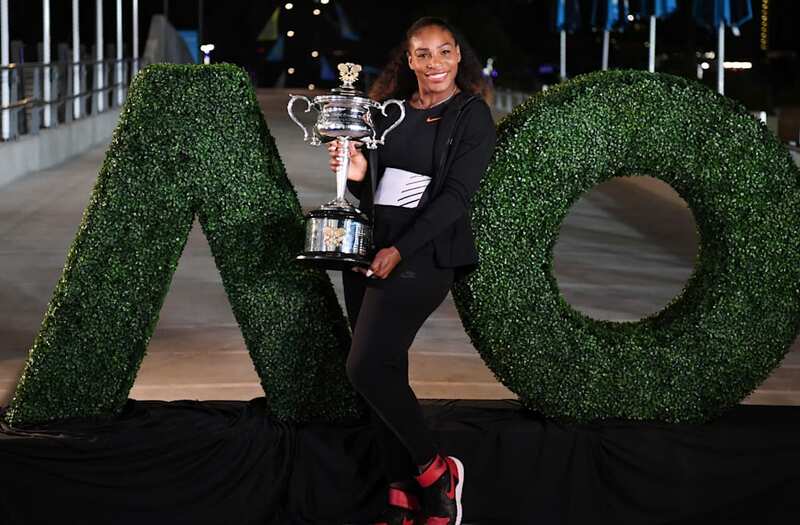 Serena Williams revealed on Thursday that her newborn baby daughter's initials are a nod to baby Alexis Olympia Ohanian Jr.'s first Grand Slam title -- the Australian Open. "Fun fact my daughters [sic] initials are AO as in the Aussie open she won with me @AustralianOpen," the tennis superstar tweeted. Williams won the Australian Open in January when she was two months pregnant. The 23-time Grand Slam champion and her husband, Reddit co-founder Alexis Ohanian, welcomed their first child on Sept. 1.